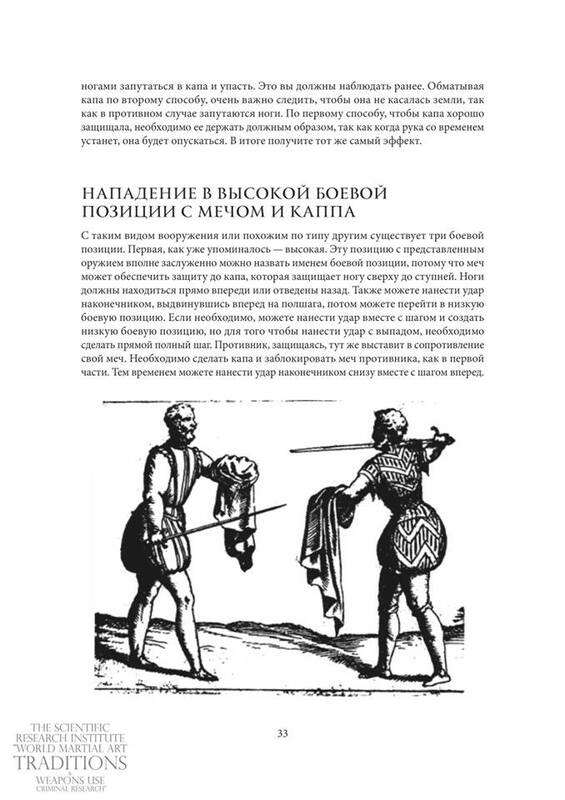 The employees of the “Scientific Research Institute of World Martial Art Traditions Study and Criminalistic Research of Weapon Handling” together with the Spanish Fencing School “Destreza Achinech” translated the ancient Italian treatise “The reasons of the victorious use of weapons for attack and defense” of Venetian master Giacomo di Grassi. “The treatise describes the basics of attack and defense on a straight line. Otherwise, it is not possible to attack and defend yourself; by means of the help of knowledge and various ways of weapon handling provided in this treatise, one acquires strength and speed of the moves. Everything which cognized imprints in your memory. One will be able to use this knowledge in a wise way, and owing to such a frank story one can gain unprecedented courage and restore justice.” Giacomo di Grassi. The main teaching of di Grassi was that weapons of equal length are used in a similar way, lunge element being the most preferable among all types of attack. 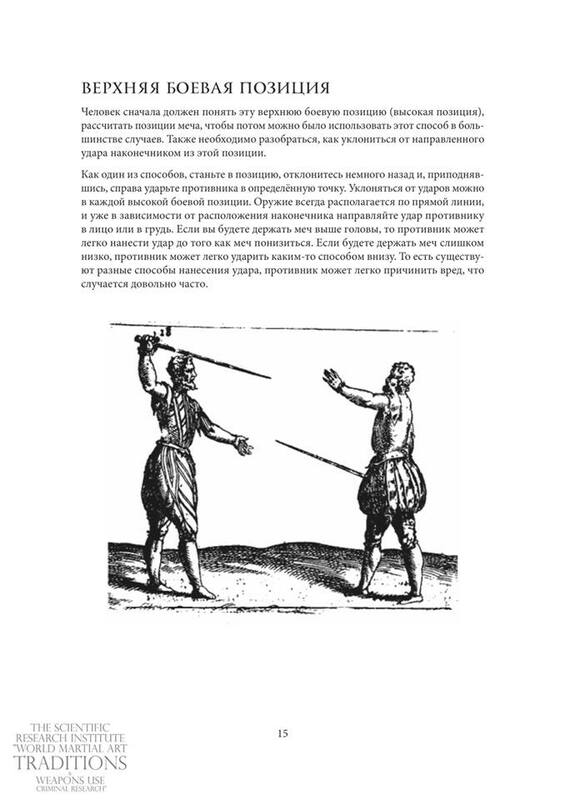 The author highlighted various features of fencing and described how a thrust can be applied during a lunge with specific weapons. The treatise provides answers to many questions, explains the principles and approaches of the most popular weapons of that time. In the book an author has fully described step by step the ways of how to avoid confusion in weapon handling, how to escape an infinite number of attacks knowing some principles that are easily accessible to anyone’s’ understanding. And if we assume that they are easily remembered, there is no doubt that one will be victorious in the shortest time with minimal effort. 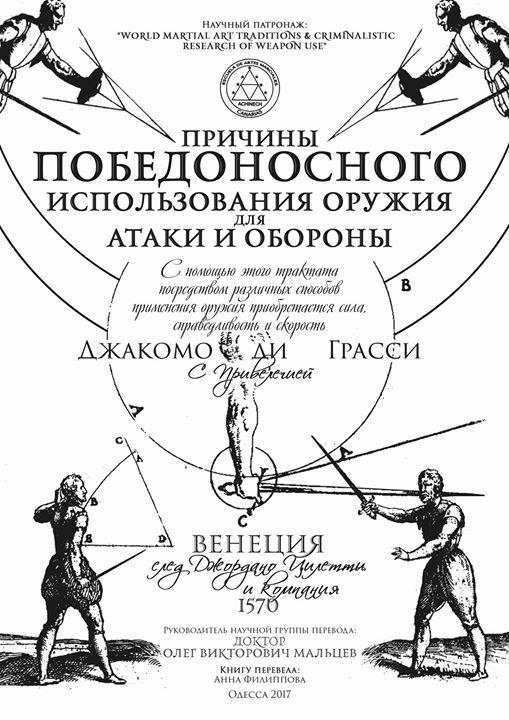 The treatise includes a teaching of possible ways of weapon handling such as handling of the sword, dagger, kappa, brokero, rotella, halberd, rocha, pike, spit, etc. 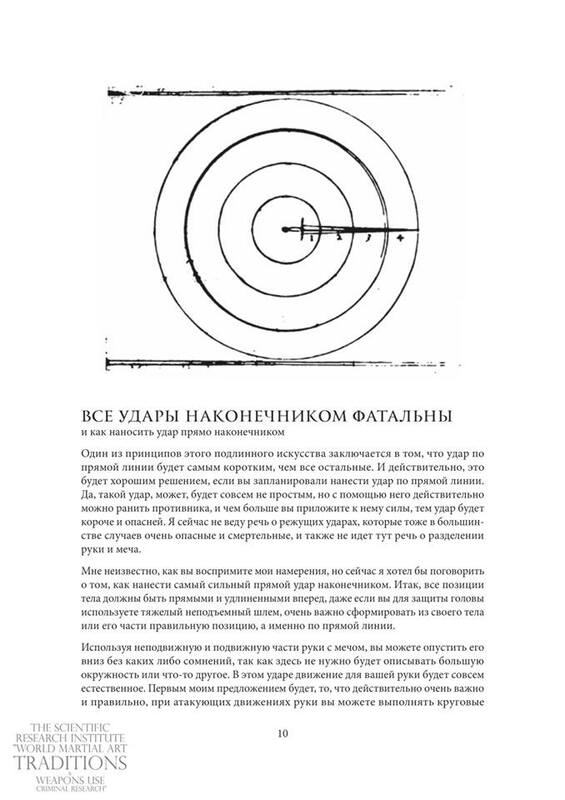 The translation was done by employees of the “Scientific Research Institute of World Martial Art Traditions Study and Criminalistic Research of Weapon Handling” lead by Dr. Oleg Maltsev. ← Ultramundane level of training methodology. Italian Fencing School.